There are many many people who make Fresh Expressions work. We aim to be a network of networks, championing the practice and pioneering of people right across the country. So in some ways a page about our team should be a mirror, held reflecting back at you. We want to say thank you for all you’re doing. 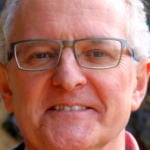 Phil Potter was appointed Archbishops’ Missioner and Leader of the Fresh Expressions team from May 2014. 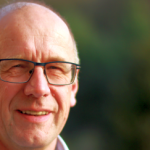 As well as leading the team and implementing the overall strategic aims, Phil is involved in continuing to develop Church of England policy to allow fresh expressions of church to flourish. Susie Wall joined the team in 2014 and provides administrative and organisational support to Phil Potter. Pete Atkins joined the team in 2006 and is currently working part-time as Team Coordinator, having previously convened the Training Hub and coordinated the mission shaped ministry course for the team. Kath Atkins joined the team in 2006 works with her husband Pete but particularly encouraging our work with Rural Fresh Expressions. Tim Lea is a long-time Associate Missioner of Fresh Expressions, Tim joined the team in 2013 to look after our programme of vision days across the UK. From June 2015 he took on a new role coordinating many of the projects the team is undertaking. Simon Goddard is a Pioneer in the Cambridge area and a Minister in the Eastern Baptist Association. Simon is involved in many aspects of Fresh Expressions work nationally but particularly the MSM Online course. 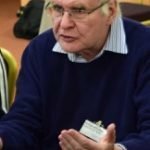 Graham Horsley is the Methodist Connextional Fresh Expressions Missioner and works on many areas including coaching and mentoring. Graham first got involved in church planting in the 1980s and coordinated church planting in the Methodist Church from 1994–2010. Sheonagh Ormrod joined the Fresh Expressions team in May 2009 and looks after finances and budgeting, as well as organising meetings, events and anything else she can get her hands on. Mike Moynagh joined the team in 2004 and is now Director of network development and Consultant on theology and practice, drawing together what is being learnt about fresh expressions of church, as well as the education, training and networking of future leaders of fresh expressions. Ali Dorey runs our Training Hub and joined the team in July 2015 as Director of Training, alongside her work as Mission Development Coordinator for the Diocese of Sheffield. Dave Male is the Church of England’s National Adviser for Pioneer Development, working as part of both the Church of England Ministry Division and the Fresh Expressions team to facilitate the development of a comprehensive and integrated vision, strategy and practice for pioneer ministry across Fresh Expressions’ partner organisations. Bob and Mary Hopkins joined the team in 2004 and work part-time for Fresh Expressions helping further develop the mission shaped ministry course. 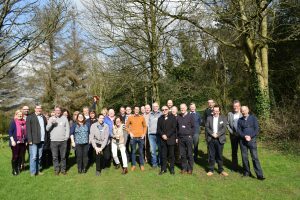 They also have responsibility for our work of developing a network of coaches to support those starting fresh expressions of church and are our link to emerging fresh expressions movements in some European countries. Andrea and Andrew Vertigan are the teams representatives from the Salvation Army and deliver training and support to practitioners in the UK and beyond.